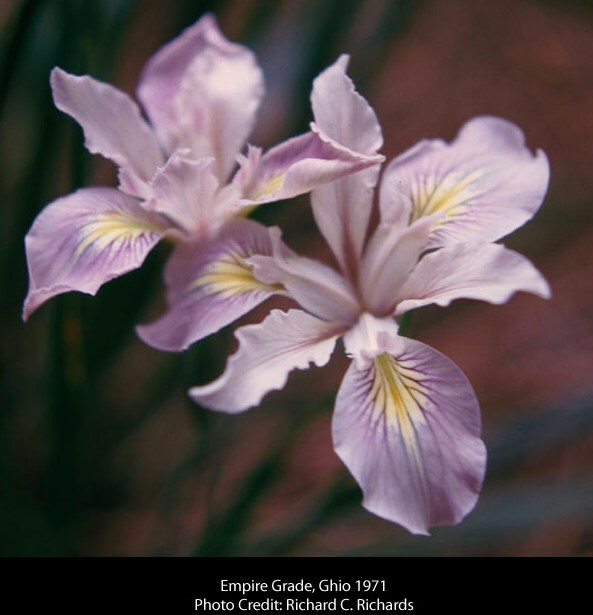 'Empire Grade' (Joseph Ghio, R. 1971) Seedling #WN-10. CA, 12" (30 cm). Late bloom. Buff-pink with violet flush around thumbprint on falls (Involving Mitchell-Craig 'I. innominata' x 'I. douglasiana') X collected clone of 'Santa Cruz Mountains' complex. Bay View Gardens 1971. Honorable Mention 1974.